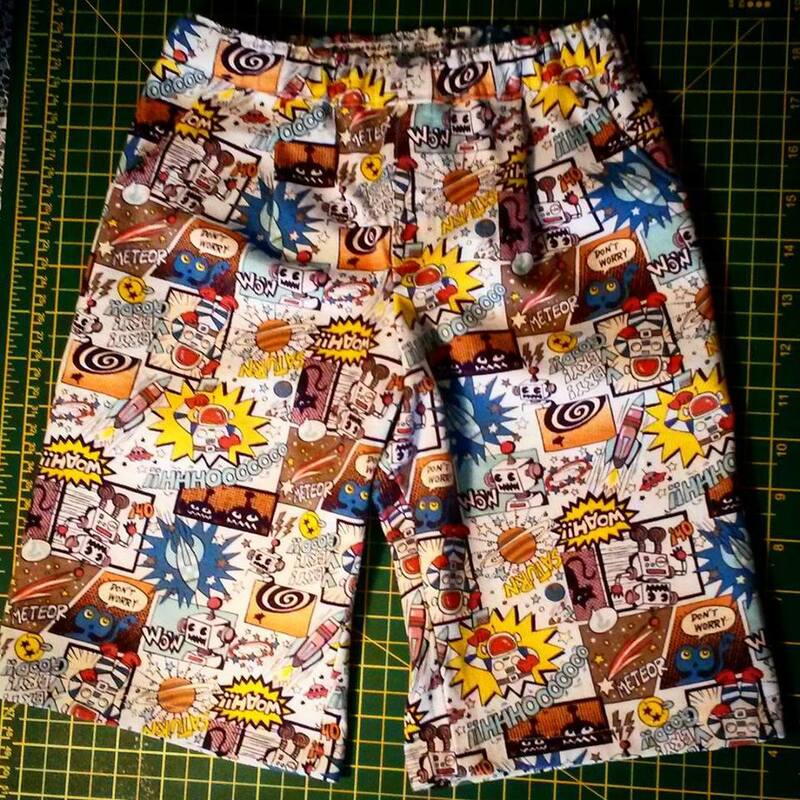 I had such fun making these super cute sketchbook shorts for my little Cousin William. The pattern back recommends light to medium weight woven fabrics and the Space Robots Kokka fabric that I picked up at The Village Haberdashery in West Hampstead was the perfect choice. 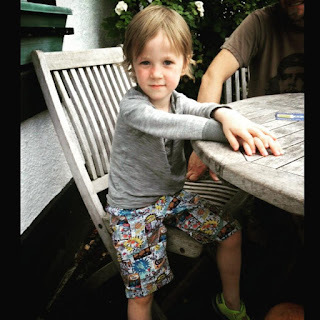 I chose the Oliver and S pattern as it was recommended to me by friends on Instagram as a popular choice for children’s shorts and seemed reasonably simple to put together. The pattern itself comes well presented in a paper envelope with cover sleeve showing a drawing of the shorts and the sketchbook shirt (which is also included) like a paper doll and outfit…Such a lovely touch that takes me back to my childhood. This design is available in two size ranges, 6M-4 or 5-12. I was working with the larger option and size 5. The pattern pieces were very easy to locate on the large sheets and the paper was not flimsy like most commercial patterns which was a nice change. Because the pattern is nestled across the sizes I traced round the size I required so I can reuse the pattern in another size another time. This was very easy to do as the pieces are so little; I love this about making children’s clothes, makes a nice change from the full skirt patterns I make quite frequently. The instructions are very clear and detailed and they include a very helpful glossary. Perfect for someone who is relatively new to working with a pattern. Fabric and cutting layouts are also explained as well as some handy general instructions – very useful for beginners and a good reminder for more advanced sewers too. I found the main directions extremely easily to follow and the diagrams were very clear and suitable. It also offers nifty tips along the way to help with the trickier steps. The only section I found difficult was working out the faux fly, a water-soluble pen may have helped me out more here... now added to my shopping list. The waistband was nice and easy to add. My little cousin’s waist measurement is quite petite and so I cut the length of elastic a little smaller than that advised. This worked fine with the pattern and the fit was perfect. I am so happy with this make, it is a lovely pattern to follow and the fabric was a delight to work with, it is so fun. 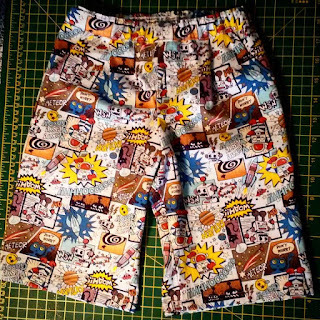 I will certainly use this pattern again and have enough fabric left to perhaps make another pair of little shorts.